Q: Hi, could you please let know the measurements of this item, thanks? 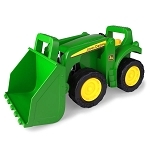 A: This item measures approximately 26 inches long and is 9 inches high at the tractor cab. Q: Is this wagon for sale alone? We have this tractor but are desperate to find the wagon. 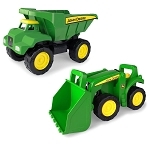 A: Unfortunately the dump wagon that matches that tractor is no longer available, however the part number is TBEK35637. That item might be found on Amazon or eBay. 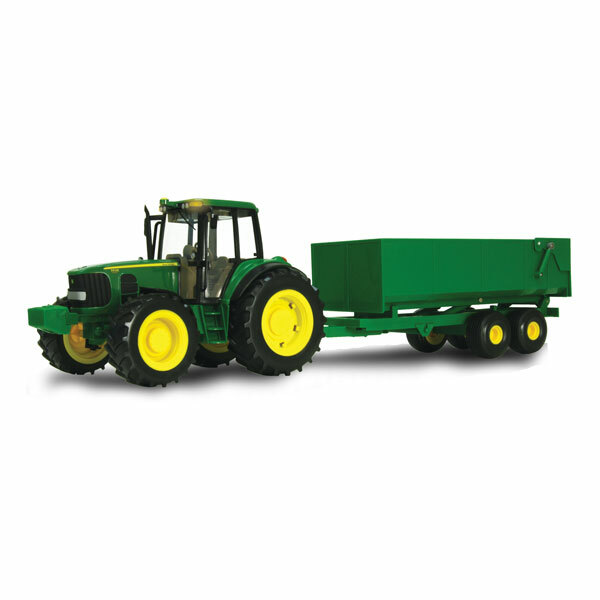 Q: How does the wagon fasten to the back of the tractor with the two round connectors? A: It should come with a locking pin. 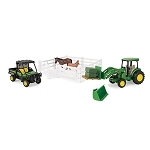 This was a gift for my 3 year old Grandson, and he loved the tractor and trailer. He figurd out the buttons for the light and sound even before me and my son-in-law! He loves hauling things around in the trailer. Big and well-made. My grandson was so happy! Pretty cute toy! My almost 1 year old loves it! The only issues is I cannot figure out the hitch and how to get the trailer to stay on,otherwise good purchase. Ordered this for my nephew's Christmas present. The item arrived on time. It was more than I expected in terms of size and durability. He lives it. I also ordered a different one for his birthday. Both well worth the cost! Very pleased! Package came within just a few days and the tractor is good quality! My 2 1/2 year old son loves to play with it. This was a great gift for our 4yr old boy. The trailer is the perfect size for the round hay bales. It's sturdy enough for boy play. Our grandson 3rd birthday was a success. 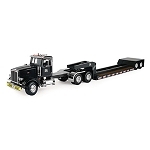 The tractor and trailer was sturdy and the both together was about 30 inches, estimate, since we do not have it now. 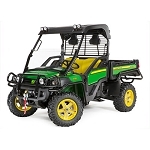 The both can be seperated easily and the tractor is boult tough. It should last a long time. It comes with the batteries installed and working. I would recomend buy on this or even separate either of the two pieces. My grandson loved this toy and plays with it all the time. 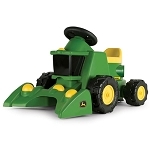 He loves tractors and this was the perfect size for a three year old. Highly recommended.